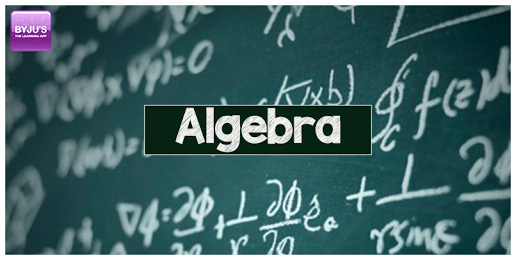 We use Algebra in all times before even realizing the importance of Algebra and Algebra formulas in different maths applications. We solve so many problems every day that involve calculations and updations. Many people say how they hated maths at school, and their jobs cannot survive without math currently. Mathematics is not so easy with numbers, and introducing letters is a big jump, but you need to believe that the effort is worthwhile. Basically, Algebra Formulas are all about solving for x which is unknown. X can be any value to be found, might be the number of days left for the exams to approach, or the amount that is going to be deducted from your salary based on your annual income. This is algebra and the importance of algebra formulas. We use these general formulas every day without thinking about x and y, which exist without our knowledge. The point is, it doesn’t matter what the letters are, but what do they represent is all counts. Algebra is arguably the base of higher mathematics principles. It is next to impossible to deal with geometry, statistics or trigonometry without the fundamental algebra formulas and rules. These are the branches of math that are used by everyone without realizing that it is algebra itself. The equation of interest “I = prt” shows us how much interest an account has after a specified time. To calculate the principal or the initial amount if other values are known, both sides of the equation are divided by the time rate and cancelling on the right side to isolate P and solve the equation. Graphs that belong to linear algebra help us to set and analyze data. If presented with data points, you can plot them on a graph to produce an equation in a computer system. Students need to learn algebra as soon as possible since it’s not less than a gateway subject and it is important to have an appropriate foundation to move on to advanced math concepts like calculus and trigonometry. An additional benefit of starting algebra is that you will have learned geometry by the time you take the PSAT, and prepare you for taking college entrance exams like SAT/ACT. We not only use algebra in everyday life, in-fact we need algebra formulas to solve many of our problems that requires calculations. Some of the simple examples that describe the importance of algebra in real time are mentioned below. You buy 10 items from a plaza and require bags to take them home. If each bag can carry 3 items, total how many bags do you need to carry 10 items. Since only 3 items can be kept in one bag, by dividing the total number of items by number of bags, we get the total number of bags that can accommodate 10 items. How would you find three consecutive numbers whose sum is 216. Since you need to find three consecutive numbers, let x be the first value, x + 1 be the second and x + 2 be the third. You are supposed to get 216 when you add all the numbers. Hence, the three values are correct. Whether you are driving a car or need to calculate the distance covered and calculate the liters of petrol per distance that needs to be travelled, all types of Maths Formulas are useful in various applications. Maths is a subject that interrelates all other subjects in the world of education and Algebra plays one of the major roles in mathematics. You can access different algebra application from play store and Byju’s – the learning app and gain maximum benefits.